Cornucopia’s Take: Longtime organic dairy farmer Will Allen wrote this piece below about Ben & Jerry’s empty promises to farmers and consumers. Because Ben & Jerry’s is made from conventional milk, The Organic Consumers Association (OCA) recently found glyphosate residue in the ice cream. 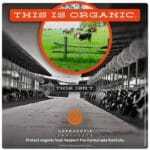 Sign OCA’s petition to Ben & Jerry’s CEO telling them to go organic. Cornucopia recommends eating only certified organic ice cream and offers shoppers this organic dairy scorecard to find the best brands in your area. 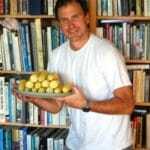 Editor’s note: This commentary is by Will Allen, who is the co-founder of Cedar Circle Farm in Thetford and Regeneration Vermont www.regenerationvermont.org , collaborating with Kate Duesterberg and Michael Colby to promote regenerative farming systems as a solution to environmental and economic problems in Vermont. You can’t blame Ben & Jerry’s for feeling surrounded – it is. After years of letting its marketing outpace its reality, its claims of “social responsibility” are ringing hollow, especially when it comes to its foundational product: milk. While the spotlight shines brighter on the economic, environmental and animal welfare calamities of Vermont’s industrial dairy industry, Ben & Jerry’s has been having it both ways: ignoring the farm injustice and pollution while reaping the economic benefits of the cheap milk. Consider this, while dairy farmers are paid less than it costs them to produce their milk and Vermont taxpayers are being asked to pony up a couple billion dollars to clean up the waterways befouled by the mega-dairies, Ben & Jerry’s is aiming to be a billion-dollar-a-year corporation by 2020, growing by more than $100 million a year. That’s the kind of corporate extraction and malfeasance that has got people’s attention, thus making Ben & Jerry’s a target for a broad coalition of activists, everything from migrant justice groups to water-quality stewards to animal rights groups to rural/economic justice advocates to food safety groups. Even the climate-change movement is taking aim at what has been the largely ignored elephant in the room when it comes to climate-based discussions or initiatives: industrial agriculture, particularly the commodity-based dairy industry that Ben & Jerry’s so lucratively exploits. 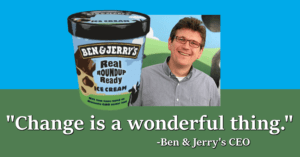 Our latest round of engagements with Ben & Jerry’s began in 2014, during the legislative struggle to pass a GMO (genetically modified organism) labeling bill in Vermont. We’d been hearing testimony from dairy lobbyists claiming that herbicide and fertilizer use had declined since GMO corn had become dominant in Vermont. We were skeptical and, after acquiring and analyzing the Agency of Agriculture’s own data, found the exact opposite to be true: herbicide use had increased by 39 percent and nitrogen fertilizer use had increased by 17 percent. We also found that the two dominant herbicides that had the largest increase in use, metolachlor and atrazine, are carcinogens, cause birth defects, are endocrine disruptors, and pollute drinking water, and other public waters. So, the most toxic herbicides actually increased, not decreased, as the lobbyists claimed. We put together our findings in a Powerpoint presentation and shared them with Ben & Jerry’s officials, including its dairy liaison and members of its social-mission team. They were shocked by what we had found and promised they would get back to us after they met with their farmers. After some months, they finally informed us that their farmers, with whom they had a 30-year relationship, did not want to change their practices. We thought the opportunity to help them change their polluting dairy system was lost. After publishing our pesticide and fertilizer report, we looked at other aspects of the dairy industry that were drawing activists’ ire. We looked at the disgusting treatment of labor, the abusive treatment of animals, the low price of milk, the bankruptcy and suicide of farmers, the dairy pollution of water, the excessive use of antibiotics, and the deterioration of our rural communities. Our goal was to share these defects in Vermont dairy with consumers and try to move the state away from such a major dependence on these polluting and abusive, confinement dairies. Then, as luck would have it, at an international meeting on regenerative organic agriculture, we met with a vice president of the Patagonia corporation, who was also on the policy advisory board of Unilever. After we shared our research with him, he offered to ask Ben & Jerry’s CEO to help us re-establish talks with their corporate managers. After several months, we began talks with both Ben & Jerry’s and Unilever’s sourcing directors and consultants, meeting several times at its South Burlington headquarters and hosting them a couple of times at our Thetford farm. Stalling has been refined to an art form with Ben & Jerry’s social mission and dairy teams. We shared all of our research on labor abuse, animal abuse, farm bankruptcy, water pollution, and damaged rural communities with Ben & Jerry’s. We also introduced them to consultants and resources in an effort to convince them that going organic would not only be good for them – practicing what they preach and all – but it would also be an essential lifeline for farmers in the state who wanted to convert to organic but had no market. Instead of greenwashing, we argued that they could finally advertise their decision to completely clean up their supply chain. They said they would get back to us. Stalling has been refined to an art form with Ben & Jerry’s social mission and dairy teams. In April 2016, they felt that they would have a decision on changing their dairy sourcing by September/October 2016. When October came, they felt that they would have a decision by December. In December, we were told that February or March would be when they made their sourcing decision. In February, a Unilever director offered to set up meetings with Ben & Jerry’s CEO and us (Regeneration Vermont) and Roger Allbee, the former Vermont secretary of agriculture. Six months later, we are still hoping to have that meeting. Finally, April or May was to be the target date for making sourcing decisions. It is now July — still no decision, still no meeting with the CEO. Still stalling. They are also stalling with Migrant Justice. They argue that Ben & Jerry’s is supportive of Migrant Justice’s Dairy with Dignity program, but they cannot get their supplier — St. Albans Co-op — to go along with the program. Just more stalling. 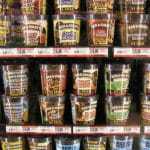 It’s time to stop pretending that Ben & Jerry’s is a socially or environmentally conscious corporation. They know how damaging their milk supply chain is. They know that labor is being abused. They know that cows are burning out before they are five years old. They know that antibiotics were being misused. They know that the dairies that supply their milk are polluting our drinking water and most of the rivers and lakes in Vermont. They can’t pretend that they didn’t know how damaging their supply chain is, because we shared all this data with them. Yet they refuse to act. They are owned by Unilever, the third largest food marketer/manufacturer in the world, doing almost $60 billion dollars of business per year, only slightly less than number two, Pepsico at $63 billion. Unilever is an international powerhouse, a very dominant force in world markets and food politics. In 2000, Unilever paid $326 million for Ben & Jerry’s. When it bought Ben & Jerry’s, Unilever promised to retain B&J’s creative, trend-setting posture. That was a promise they have not kept. In 2016, Unilever’s quirky ice cream manufacturer had gross sales of $600 million, headed for a billion in 2020. With the current glut of low price milk, it is obvious that Unilever’s plan is to take advantage of this disaster on the farms and make as much money as possible while stalling us, Migrant Justice, and everyone else taking aim at its dirty deeds.